The Boeing Stearman best known bi-plane in aviation history. Commonly referred to as the Stearman PT-17, it was manufactured by the Stearman Aircraft Company in Wichita, Kansas from 1934 through 1945. Boeing publicity claims a total of 10,346 Stearman “Kaydet” trainers built, but this figure includes equivalent spare parts. The actual total of Model 75’s that were completed from the prototype X-75 to the final E75 built in 1945 was 8,428.In 1938 the Stearman Aircraft Company became the Stearman Aircraft Division of the Boeing Aircraft Company so in actuality, the majority of the airplanes manufactured were designated as Boeings. However, they are still almost universally known as Stearmans.Original engines installed on the Stearman airframes included the Lycoming R-680 (225 hp); Continental R-670 (220 hp) and the Jacobs R-755 (225 hp). 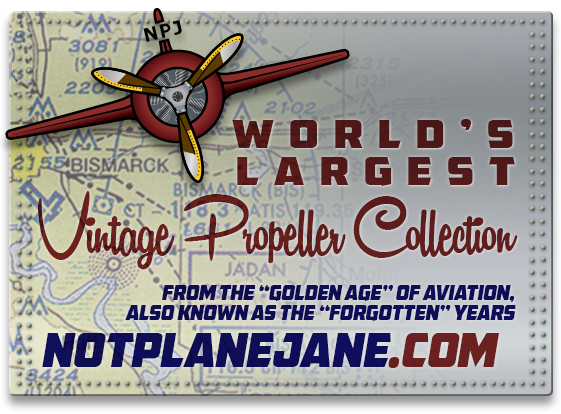 Post-war modifications include the Lycoming R-680 (300 hp); Pratt & Whitney R-985 (450 hp) and the Jacobs R-775 (275 hp). The propellers generally in use on Stearmans were the Sensenich fixed pitch wooden prop, the ground adjustable McCauley steel blade prop and the ground adjustable Hamilton Standard and 2B20 counter weight Hamilton Standard propellers. Also a rare exception of the ERCO COMPREG blade, installed in a constant speed counter weight Hamilton Standard 2B20 hub. The Lycoming Controllable Propeller while in rotation enabled the pilot to select the most advantageous blade angle for maximum airplane performance under all flight conditions. The primary purpose of the Lycoming Controllable Propeller in all flight conditions; namely, take-off, climb, cruising and high speed, was to permit the engine to develop full rated power. Second, the propeller permitted the blades to operate at the most advantageous blade angle from the standpoint of aerodynamics, thereby providing greater thrust than could be obtained with adjustable pitch propellers. Third, the propeller permitted a readjustment of the blade angle to the particular power settings and atmospheric conditions existing at any altitude. This latter advantage was particularly important with engines incapable of operating at full throttle at sea level and whose rated power was delivered only at high altitudes. The Lycoming controllable propeller also played an important role as a safety factor in aircraft operation. The trend in aircraft design toward higher speed ranges, heavier wing loadings and geared engines required large propeller diameters to absorb high engine power at altitudes and large blade angles to permit high airplane speed with low propeller rotational speeds. The result was an airplane with very poor take-off characteristics. The Lycoming controllable propeller remedied this condition by affording a complete range of blade angles for take-off, climb, cruising and for high-speed airplane performance. The Aeroproduct propellers were hydraulically operated, constant-speed propellers. A separate pitch-changing mechanism was contained in each blade socket. This type of construction left an unrestricted opening through the center of the propeller hub, permitting the installation of an aircraft cannon. The blades were of hollow steel construction and had a longitudinal rib running throughout the length of the blade, from the blade tip to the shank. The blade was constructed of two members, which were copper-brazed together.